I grew up with my parents and two brothers in outer eastern Melbourne. Set on a half acre block, our 1960s weatherboard house had views across to the Yarra Valley. My parents liked the idea of a self-sufficient lifestyle, perhaps inspired by the 1970s BBC sitcom ‘The Good Life‘, though mum has confirmed that the health benefits in treating allergies, such as eczema and asthma, were the motivating force. We had chickens, a vegetable patch and milking goats. My daily breakfast comprised a boiled egg, toasted home-made bread (wholemeal), and a cup of goat milk. Both the egg cup and milk cup were crafted by Mum who embraced pottery, amongst many handy-crafts. I feel extremely fortunate to have been raised in such an earthy, wholesome environment, yet it took some time for me to incorporate these healthy ideals into my own life. Throughout my 20s and 30s I lived in inner city Melbourne, moving quite a few times but typically staying within 10 km of the CBD. This made an easy commute to my work and often I was running off to play netball, going to the movies, or catching up with friends for an after work drink. Somehow, I would manage to squeeze in dinner. Whilst I love eating, cooking was never a passion and meals-in-minutes recipes were my norm. I lived in walking distance to Thai, Vietnamese and Italian restaurants and take-away shops, and I felt like I was living la dolce vita! As I approached 40 I started to take an interest in healthier food choices. An organic food cooperative started up in my community and my friends were building backyard chook coops. At last, I decided to tear up a patch of grass and plant my own vegie garden and started using my own herbs and tomatoes in my cooking. Two years later my partner bought a house in Central Victoria and my son and I joined his ‘escape to the country’! Since moving to Central Victoria, I feel I have returned to my roots. We have five chooks, a massive vegie patch and a small fruit orchard. After spending three summer seasons here I am proud to say that I’ve learnt to make jam, bread, ice cream and relish. Encouraged by my neighbour (and her wholefoods recipe books), I am now creating meals from scratch using ingredients I had never heard of, including dulse flakes! My family love these health giving dishes and now we are REALLY living the good life. 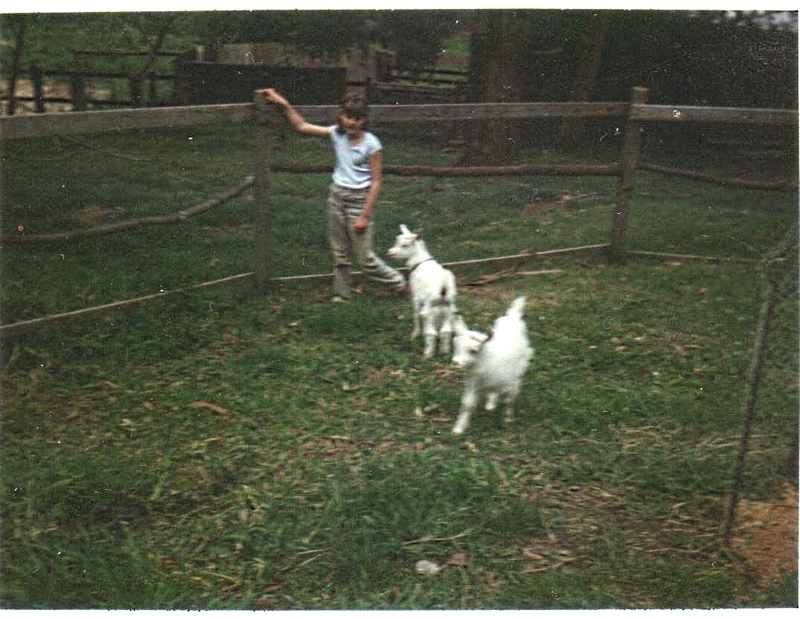 I wonder if we’ll get goats one day….